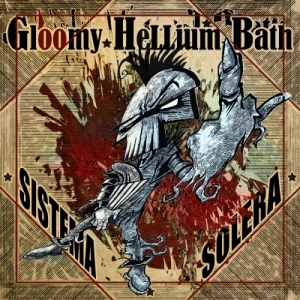 Gloomy Hellium Bath are a French collaboration with former members of e.g. Nerv and Würm. Via the crazy label Dooweet Records, they release Sistema Solera, which brings a totally frenzy mixture of Electronics, Industrial Metal and hundreds of other additions: Noise, Hip Hop, Death Industrial, Punk, Un-Pop, Trip-Hop, Indie, Goth Rock and so much more.